Good news for all students who wants to pursue their studies in college in spite of lacking in resources. This will start next year. The fund is part of P3.35 trillion 2017 budget which was ratified by the Congress. "The intention is all state universities and colleges would no longer charge undergraduate tuition so that P8 billion is supposed to cover undergraduate tuition in all state universities and colleges," said CHED Chairperson Patricia Licuanan. 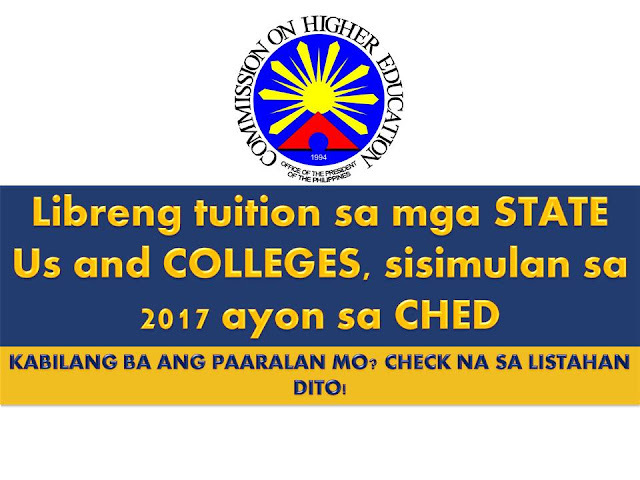 Included in the CHED allocation is P5.8 billion for the continued implementation of students financial assistance programs such as the PAMANA Study Grant Program, Iskolar ng Bayan, Tulong-Dunong Program and scholarship grants for children of sugarcane workers and other small farmers. 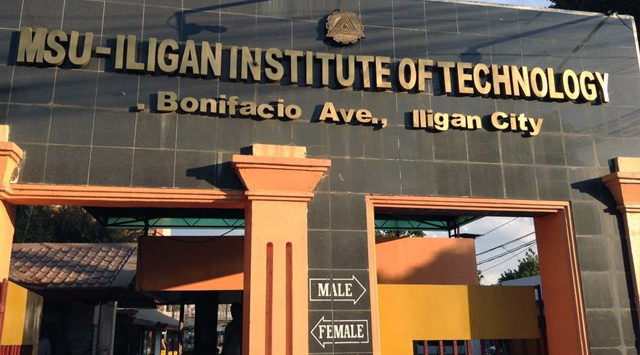 Another P4.6 billion for the continued implementation of the K to 12 programs and P763 million for the Philippine-California Advanced Research Institutes Project. She also noted that eventually, they hope to come up with a formula that would prioritize the needy. "That would be our initial preference, to kind of calibrate it in a way that those who need it more will get more," she said. "Free tuition will help tremendously. It will free I guess resources of families and students for the other costs... because there are other costs to getting a college education," she added. Licuanan added that SUCs and universities can still charge for other fees and graduate school tuition.